On the evening of July 8, 1893, James Cornish was stabbed in the chest during a barroom brawl on Chicago’s South side. He was rushed to Provident Hospital, founded in 1891 by Dr. Daniel Hale Williams (1856-1931). Dr. Williams was one of only four African American physicians in Chicago at the time. A former barber and son of a barber, he decided to give up the barber’s trade and follow his growing interest in medicine. 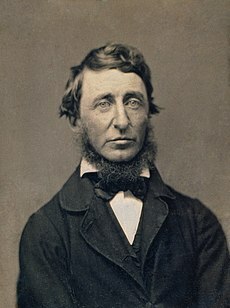 He enrolled in Chicago Medical College, known today as Northwestern University Medical School, in 1880. After graduating in 1883, Dr. Williams open his own practice. At the time African American doctors were not allowed to practice in white hospitals. So, in 1891 Dr. Williams opened America’s first interracial hospital, Provident Hospital, with a total of only twelve beds. James Cornish was in a desperate state when he was admitted. He was bleeding internally and sure to die. Dr. Williams decided to act. Without the benefit of adequate anesthesia, x-rays, antibiotics, penicillin, or blood transfusion, Dr. Williams opened Cornish’s chest. The patient’s heart was beating 130 times per minute. Carefully, Dr. Williams repaired a severed blood vessel and stitched up a one inch cut in the pericardium surrounding the heart. James Cornish survived the operation. Fifty-five days later, he left Provident Hospital to live another twenty years. 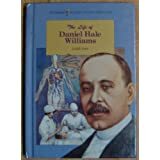 Dr. Daniel Hale Williams performed the first successful open heart surgery in medical history. 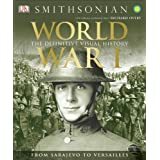 It was not until World War II that heart surgery became an accepted part of medical practice. July 4 being a holiday, I find myself with a little free time to think about why so many of my fellow citizens get excited. July 4 is for many like all other holidays, an excuse to take a day off from their daily, and often boring, routine, to laugh, play, and eat without worrying about tomorrow. For others, another holiday is but another opportunity to make money off the former. Let us not forget that other group of our fellow citizens who are denied the enjoyment of leisure, because they must labor for “Ole Masssa,” helping him separate the more fortunate from their hard-earned money. Holidays are for many just one more day in the daily struggle for survival. An elderly gentleman who grew up in rural Mississippi during the first half of the 20th century told me that for him July 4 was just another day in the cotton field. July 4 is an important day of remembrance in the life of American civil religion. It is a day to celebrate and relive patriotic myths. Much of what most Americans believe happened on July 4, 1776 is just that, myth. It just didn’t happen the way our parents said it did. The historical truth is that the Continental Congress voted on the colonies’ independence on July 2. For those who want further proof, the PENNSYLVANIA EVENING POST reported: “This day the Continental Congress declared the United Colonies Free and Independent States.” History contradicts Jefferson and Adams, both of whom said the signing took place on July 4. But we are not surprised to learn that those two honorable politicians were capable of telling a lie, or should I say, “correcting” the historical record? Pointing out that much of our traditions associated with July 4 are patriotic myths is not meant to in any way diminish the importance of our ancestors’ struggle for independence or their accomplishments. The United States is not all that we would like for it to be, but we need only watch the evening news to be grateful that we live here rather than most parts of the world. In closing, I wish to note a few other events that occurred on July 4 in past years. Both Jefferson and Adams died on July 4, 1826, and James Monroe died on July 4, 1831. The deaths of both Jefferson and Adams on July 4, 1826 were taken by many as a sign of God’s providence in the founding of the United States. If that be true, then the fall of Vicksburg to Union forces on July 4, 1863 was a sign of God’s judgment on the Confederate States of America.